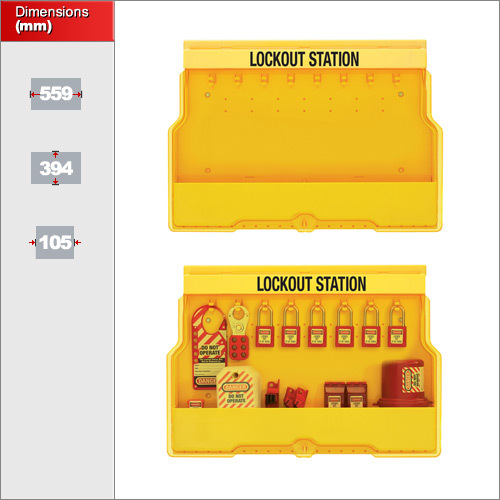 This lockout station is suitable for holding a number of padlocks and accessories securely. 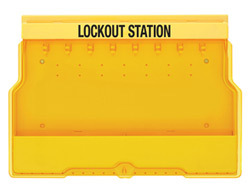 It is deep enough to hold even the largest plug lockout unit and includes 8 individual lock hooks. Made from the Xenoy plastic alloy they are highly heat resistant and tough. A fold down transparent lid can be secured with a padlock using a shackle thickness of 7mm or less. Please Note: This product is for the lockout station only. It does not contain any padlocks or lockout accessories. 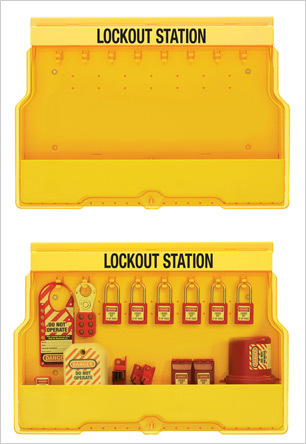 We only stock this size of lockout station but larger, more complex stations are available by special order via the Masterlock factory.